RUTLAND—The owners of Stonehedge Golf Course in North Clarendon, a three par golf course and foot-golf course, are opening a new indoor virtual golf facility this summer in Rutland. 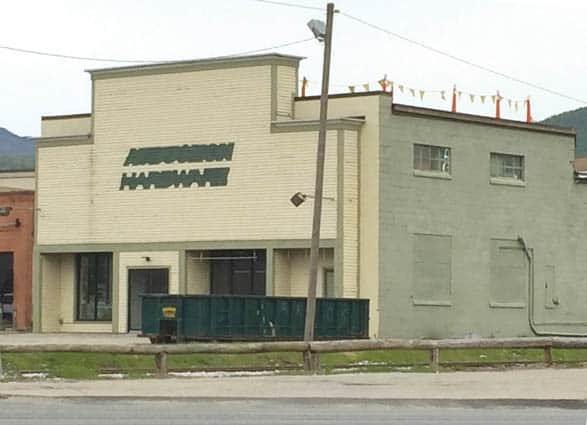 Renovations are currently underway at the new location at 172 South Main Street (formerly Aubuchon Hardware store) with the goal of opening for business in late June or early July. The centerpiece of this new recreational resource will be the opportunity to play virtual golf at world reknowned courses on wide-screen simulators. They started looking into the concept about a year ago, said Shawn Bendig, an owner at Stonehedge and long-time soccer and golf enthusiast. “Because of the short season we have for outdoor golf here in Vermont, people had been driving a long way to use golf simulators,” Bendig said. After much research, Stonehedge decided to partner with the company called aboutGolf, who are sanctioned by both the PGA Tour and the Golf Channel. “It is as close as you can get to outdoor golf,” said Bendig. Each simulator bay will be 20 feet deep, with 17-foot-wide screens, allowing golfers to play over 40 courses across the world, including Sawgrass, Pebble beach, Augusta National, and a package of England golf courses, like St Andrews. For those folks with little golf experience, the simulators can be set with a handicap, to make it easier to play. Training packages will also be offered, which can analyze a golfer’s swing, and give instructions to help people improve their golf game. “No clubs, no problem,” Bendig said; golf clubs will be available to use at no extra charge. With families in mind, the indoor golf facility will also offer eight different miniature courses and arcade games like Skee-ball. Cockpits that mimic being behind the wheel of a car will allow you to drive in a Nascar race or Demolition Derby, or do some street racing. You can compete against your friends, or challenge the computer. Bendig thinks it will also be a popular place to watch sporting events, boasting 10 high definition televisions. There will also be a bar and grill with beer, wine and pub-style food.